Camping Le Petit Bois is a friendly 3 star campsite which is part of the Sites-Et-Paysages chain of campsites. This small and pleasant campsite is perfect for those looking for peace and relaxation, occupying a wonderful position within this fantastic region of France. A stones throw from the Ardeche River and all the natural beauty you could wish for, Camping Le Petit Bois is perfect for those who enjoy walking, hiking, cycling and other activities such as canoeing. The nearest village to the campsite is Ruoms which is just 800m away. Here you’ll find a pleasant medieval village which was originally founded in the 10th Century. Within this, you’ll find some wonderful buildings, a Romanesque church, shops, restaurants and also a market. If you love water activities then you really couldn’t be in a better place. The river is just 600m away and provides a vast amount of fun through swimming, splashing around, building dams, canoeing, fishing and a variety of other activities. 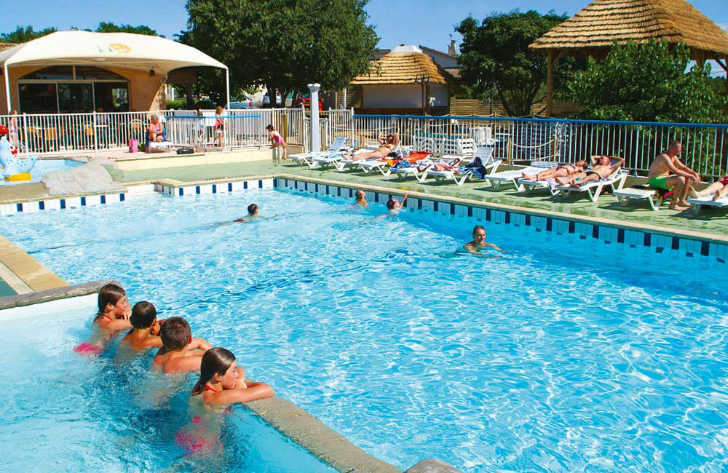 The on site swimming pool at Camping Le Petit Bois is also pretty good offering an indoor pool and outdoor heated pool, spa, toddlers play area, slides and patio area for sunbathing. Camping Le Petit Bois is a small campsite in a fantastic location that also boasts a comprehensive range of on site activities and facilities. On site activities at Camping Le Petit Bois campsite include multi sports area, spa area, fitness and dance classes, football, basketball, volleyball, badminton, table tennis, boules and a playground. Facilities available at Camping Le Petit Bois campsite include WIFI, restaurant, snack bar, takeaway, bar, pizzeria, animation team, washers and dryers. Accommodation at Camping Le Petit Bois includes a range of 2 and 3 bedroom mobile homes from Canvas Holidays .